Carpets, rugs and upholstery are definitely expensive and valuable items; that it why it is important to preserve their quality and maximize their useful lifespan. 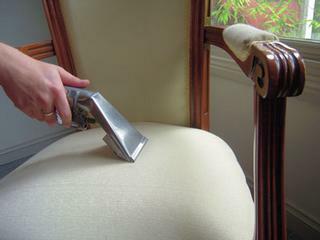 We enjoy using our carpets and upholstery, but over time dust, dirt, grime and body oils take their toll. Vacuuming and store-bought products are not very effective in getting these precious items back to their original condition. Contacting the professionals at High Quality Carpet Cleaning is the only way to properly address these issues and even prevent staining and deterioration. Carpets, rugs and upholstery take a lot of abuse and people often forget that these items need professional attention. There is simply no substitute for professional cleaning and after customers contact High Quality Carpet Cleaning, they certainly know the difference. Over time, dirt, grime, oils and contaminants find their way deep into our favorite carpets and upholstery – it is simply unavoidable. If not routinely cleaned, this same material can start to accelerate the deterioration of fibers and fabrics, ruining a nice investment. Do not forget that a lot of these contaminants and allergens can build up and become a health hazard for sensitive individuals. Professional carpet cleaning extends the life of valuable carpets and upholstery, while at the same time helping to provide a cleaner home and office environment. High Quality Carpet Cleaning understands that clients lead busy lives, so giving carpets and upholstery the full attention they deserve is not always possible. That is why these dedicated and knowledgeable experts are glad to keep carpets, rugs and fine upholstery looking their best and smelling like new. In fact, having a professional cleaning company tend to these important items on a scheduled basis keeps carpets and other items fresh continually, so customers no longer have to concern themselves. After using a vacuum or household product to clean carpet and upholstery, people soon realize that it is a losing battle. On top of all that, not many people have the time and energy to keep carpets, rug and upholstery looking and smelling fresh. Contacting the skilled professionals at High Quality Carpet Cleaning is the answer to saving oneself from routine carpet and upholstery maintenance. Not only will they extend the life and appearance of any carpet or upholstery, we help customers have more spare time and better health. High Quality Carpet Cleaning serves the New Jersey area and has built a long-standing reputation of top quality cleaning and excellent customer service. Our friendly staff of highly trained and experienced technicians is equipped with the latest methods and technology. This means that carpets, rugs, upholstery and fabrics receive the best attention possible at the most affordable prices. High Quality Carpet Cleaning’s dedication to the industry makes them the first choice for it New Jersey clientele. Having carpets, rugs and upholstery cleaned by a professional team of experts prevents fabric deterioration and therefore saves customers time and money. After visiting High Quality Carpet Cleaning, customers have no doubts that they made the best decision for their home or office.